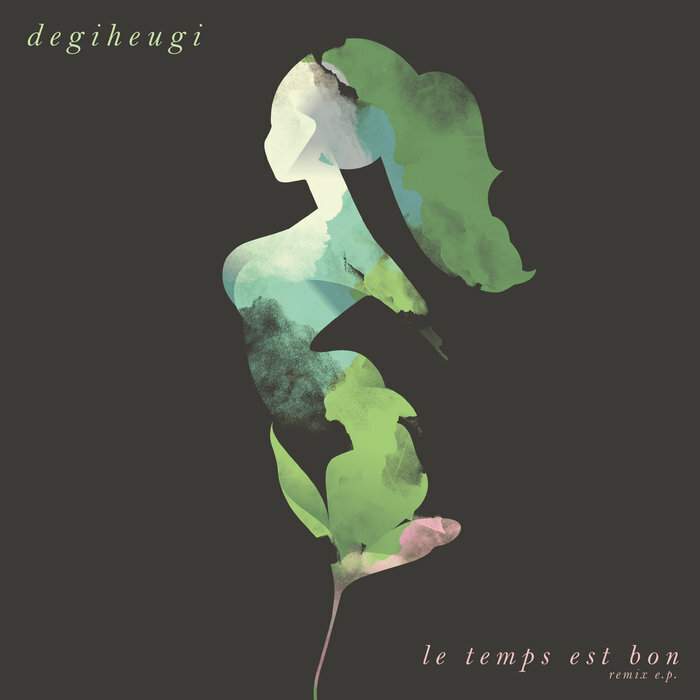 In 2012, French hip-hop experimentalist Degiheugi found himself under all the spotlights of his native France after releasing the smash hit ‘Le Temps Est Bon’. The track itself is an absolute beauty, expertly mixing traditional French-spoken music with electronic sounds and a Hip-hop rhythm. Five years on, Endless Smile Records has released a special remix EP of the beloved original track by Degiheugi. It features a remastered version of the original, a remix, two awesome new tracks and two not-so-good ones. The release managed to gather quite a response, selling out the 300-copy vinyl limited edition in a very short time. The centerpiece, as well as the reason you’re reading this review, is the remastered version of ‘Le Temps Est Bon’ by Degiheugi himself. It features two main changes relative to the winning formula from 2012. First off, a 30-second French-spoken intro precedes the track. Second, it features a hell of a lot more oomph! throughout, particularly the low frequencies. Aside from these two changes, the track remains mostly unchanged. A wise move from the Frenchman, freshening up the song while keeping its essence intact. It’s great to see a producer get better with time, although five years later it’s to be expected. The following three tracks turn the aftermath of the Le Temps Est Bon remaster into a short, almost dancefloor-oriented journey. L’Entourloop’s dub remix is the only actual remix of Le Temps Est Bon on the record, contrary to what the name of the album might make you think. Instead, Endless Smile Records has packed remixes of other Degiheugi tracks. Kognitif’s remix of ‘I’ve Got an Opportunity’ is a pleasant surprise and quite a listenable song on its own. The same can be said about Smokey Joe & The Kid’s spin on Life in Bachelor’s Studio. It’s a shame the last two track don’t hold up with their acoustic style to round up the release, even if they’re not in anyone’s mind when judging the record. So there you go. A classy rework of a classic and some great music to go along with it. For free! It does not get much better than that. Enjoy. Check the album on Spotify!